A stroke occurs when there is an interruption of the blood supply to the brain. The human brain relies on a constant supply of blood, and the oxygen it carries, to function normally. If brain cells do not receive this oxygen then they will be permanently damaged. Haemorrhagic Stroke – when one of the network of blood vessels in the brain bursts. “Mini-strokes” can also occur in the brain when the blood flow is temporarily interrupted by a clot or blockage for a short period (usually between minutes and a few hours). These are known as transient ischaemic attacks or TIAs and result in the same symptoms as a stroke but these symptoms disappear quickly. TIAs are common in people who have already experienced a stroke but are also an indication that there is a risk of a stroke or further stroke. In this article we will outline the symptoms of stroke, the causes, treatments and effects; and also the risk factors associated with the condition. The article is intended to assist people’s understanding of the condition but is not a substitute for advice from a healthcare professional. A mass media campaign “Act FAST” in England started in 2009 and sought to raise awareness and recognition of stroke symptoms among the general public. At the same time emails, newsletters, posters and leaflets targeted healthcare professionals. This campaign is believed to have had a positive impact on awareness and recognition of symptoms but has not impacted on people’s behaviour in response to a stroke. F – Face. The person’s face starts to droop on one side. A – The person cannot fully lift their arms. S– The person has difficulty speaking. T – It is time to call 999. Other symptoms can include a sudden headache, confusion, dizziness, problems communicating or problems with vision. As people age the walls of their blood vessels can become weaker causing them to burst; or they may have a genetic condition which makes them more vulnerable to this condition so there are natural causes that people cannot avoid. There are also certain medical conditions that increase the risk of a stroke, such as diabetes, high blood pressure, high cholesterol and an irregular heartbeat (atrial fibrillation). When someone has a stroke they lose consciousness – depending on the severity and type of stroke this can be for as little as a few seconds up to days or weeks. The level of unconsciousness can be very deep so the person is totally unresponsive, or they can respond to certain stimuli by moving or opening their eyes. If they start to respond to pain or speech then they are starting to become conscious again. How long the person is unconscious usually correlates with the severity of the stroke and the likelihood of recovery; although some people do make a good recovery after being unconscious for a long time. A brain scan is used to determine the location of the suspected stroke and also which type has occurred: ischaemic or haemorrhagic. Brain scans typically use computerised tomography (CT) and magnetic resonance imaging (MRI). Blood pressure and blood sugar levels can assist in a diagnosis and the results can also be used to help identify the underlying cause. An echocardiogram or an ultrasound scan is used to help identify the source of the stroke. It is common for someone who has had a stroke to have difficulty swallowing so a swallowing test is another way to confirm a diagnosis. Strokes are treated differently depending on whether they are ischaemic or haemorrhagic but both can be treated with medication. In the case of an ischaemic stroke the medication will aim to reduce the chance of further blood clots, dissolve existing clots and also reduce blood pressure and cholesterol. Antiplatelets such as aspirin and anticoagulants such as warfarin are commonly used to reduce the risk of another clot forming and injections of a medication called alteplase can be used to dissolve blood clots and restore blood flow. In the case of haemorrhagic stroke medication will usually be prescribed to lower blood pressure and reduce the likelihood of further strokes. Surgical procedures are also a possibility for both types of the condition to treat the immediate problem and also to prevent further incidences of stroke. For ischaemic strokes caused by a blood clot in a large artery a surgical procedure called a thrombectomy can be performed to remove the clot. For ischaemic strokes caused by narrowing of the carotid artery in the neck due to a build-up of fatty plaques a surgical procedure called a carotid endarterectomy can be performed to remove the fatty deposits from the carotid artery. After a haemorrhagic stroke surgery may occasionally be performed to remove blood from the brain and repair burst blood vessels. This involves cutting away part of the skull. Some of the long-term after-effects include problems with speech, problems swallowing, weakness on one side of the body or even paralysis. 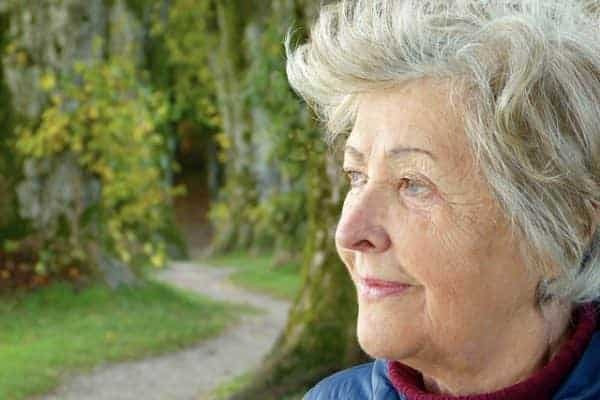 These physical effects can prevent people from living life in the same way as before the stroke or can even prevent them from leading an independent life. People can also experience headaches, dizziness, fatigue, depression, irritability and memory problems. How long the symptoms last is very much a consequence of the severity of the stroke and can last anything from a few weeks to years. In the most serious cases some people never fully recover and the most serious strokes, especially a large bleed (haemorrhagic stroke), can result in death. However, many people also experience severe behavioural and emotional effects too that can have far-reaching effects beyond the obvious physical symptoms. A stroke survivor’s personality and cognitive capabilities can also be affected, which in turn affects their relationships and ability to work. Balance and co-ordination are often affected by a stroke meaning a person walks and moves very slowly or needs to use mobility aids to get around. You will often see one side of the body noticeably weaker than the other in people who have had a stroke which can limit movement. This weakness can also cause incontinence. A typical physical after-effect of a stroke is shaking hands (known as ataxia) making it difficult to carry out normal tasks such as writing. A frequent consequence of a stroke is slurred speech but friends and family can eventually become used to the new way of talking and regain full communication with the person who is recovering from a stroke. However, in some severe cases a person may lose the ability to speak altogether. The way we, as humans, think, remember and learn (i.e. our cognitive skills) is dependent on different parts of the brain. Depending on which parts of the brain are damaged after a stroke different skills and abilities may be affected. It may become difficult to concentrate, understand or solve problems, for instance; or to speak, write or understand the spoken or written word. It is very common for someone’s memory to be affected after a stroke but how it is affected may differ. Some people will retain all their existing skills but be unable to learn anything new, for example. Others will be unable to remember names, places or faces. It is not possible for someone who has had a stroke to “re-learn” things in the same way that children learn i.e. by practise and repetition. However, it may be possible to learn practical skills to help cope with impaired abilities. Some people will be unable to understand what is said to them or what is written down, others will not be able to express themselves either in speech or writing. This can, obviously, be highly frustrating for a person if they cannot fully express themselves and make their wishes understood and also difficult for those caring for someone who has had a stroke. It is a very common problem after a stroke that a person cannot concentrate for long enough to complete a task. A person may talk about the same topic or repeat the same task again and again without being able to stop. People can become unable to think logically or to understand basic rules. When the frontal lobes of the brain have been affected this can result in a lack of self-awareness, which can cause inappropriate behaviour. This can be very difficult for family and carers to deal with but it is important to remember that the person who had the stroke is not deliberately behaving inappropriately. Behaviour can often improve over time and there are various coping strategies that can help (which we discuss later in this article). Almost everyone who has had a stroke will be emotionally different but because these differences are not as easy to see as any physical changes they can be harder for the person who had the stroke to cope with and for family and carers to understand. Having a stroke can affect a person’s character but they themselves may not understand or even be aware of what has happened to them. In some cases there are no physical effects from the stroke making the emotional effects harder to come to terms with. In the same way as the families of people living with dementia need to adjust to their loved one no longer being the person they once were, so too do some families of people living with the after effects of a stroke have to do the same thing. Some people can experience extreme emotional states – for example, laughing one moment and crying the next. Reactions to individual events may also be extreme such as anger or distress. 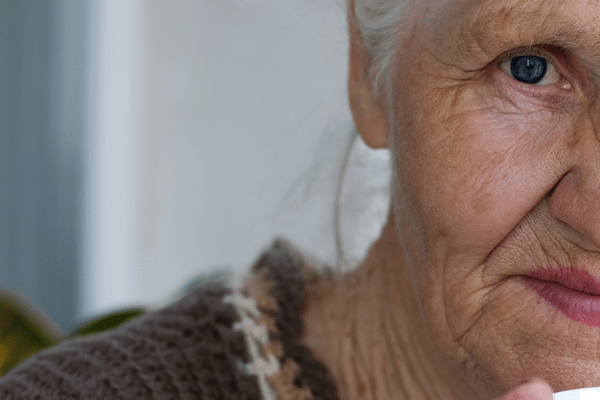 Depression often occurs after a stroke and can either have a physical cause if, for instance, certain regions of the brain are injured, but depression can also be a result of the changed circumstances of the individual. If they can no longer work or take part in a sport or hobby they used to enjoy; if they have lost some of their independence and now need help with everyday tasks, for example, the resulting sadness and anger can lead to depression. The feelings of isolation and loneliness frequently seen in people after a stroke can also cause depression. Many people experience anxiety after a stroke due to the changes in their cognitive skills and how that will affect their future life. 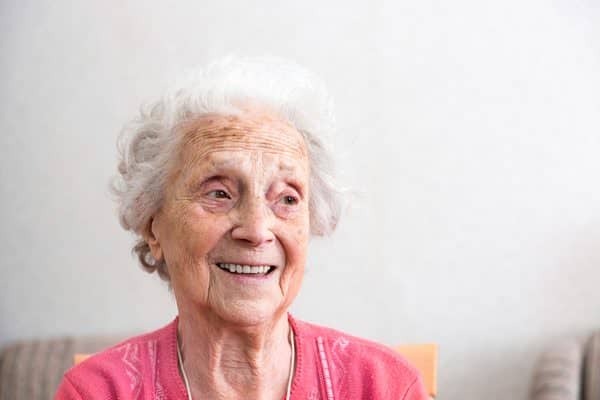 It is common for people to feel angry after a stroke either because they have lost physical or cognitive abilities or because rehabilitation is a slow process. They may also have more angry outbursts because their impulse control has been impaired. The behaviour of a person who has had a stroke can change in all sorts of ways. Sometimes behaviour traits are similar to before but simply exaggerated, but in other cases a person’s behaviour can change beyond recognition. This can vary from a lack of tact around other people to uncontrolled rage, using offensive language or sexually inappropriate behaviour. This can be very distressing for all concerned but most people gradually recover more normal and predictable behaviour. People can become easily annoyed by minor events which can lead to aggressive behaviour. It is common for anger to be less well-controlled after a stroke, in part due to damage to the frontal lobes of the brain. This can be upsetting for both the individual but also their family and friends. Executive dysfunction describes more broadly the cognitive, emotional and behavioural problems which frequently occur after a stroke. They can have a significant effect on the lives of people with the condition their family and friends but there are strategies to try and minimise the impact. Executive dysfunction is what occurs when someone loses these mental skills and is unable to manage the simple tasks that allow us all to lead an independent life and be part of a community, such as shopping for food, cooking, doing laundry and cleaning the house; or engaging in a conversation with a friend or neighbour. 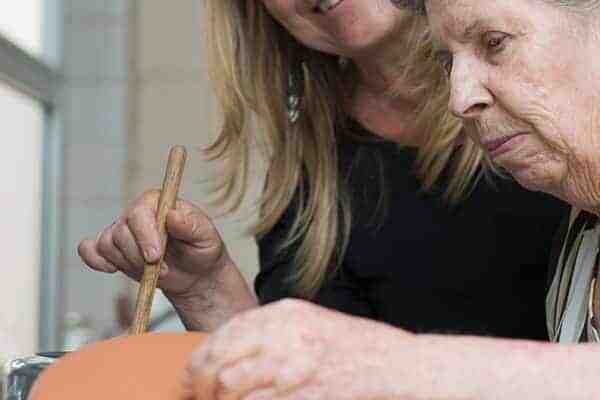 These seemingly simple skills actually use advanced brain functions and require us to carry out a series of tasks that some people are unable to do after a stroke, especially in situations where something doesn’t go to plan or you have to switch focus from one task to another. Executive functions are also required in social situations in order to join in a conversation and interact with others appropriately. The effect of such problems can range from severe to mild so some people may find that only those close to them notice their different behaviour. Whereas other people may suffer from different symptoms and become totally unable to cope with social situations. Rehabilitation of executive dysfunction after a stroke depends on the type of problems the person is experiencing and includes helping the person understand the effects of the stroke on their mental skills. Everyone’s particular situation is different and people learn different ways of coping so there are no right or wrong ways to cope. Depending on an individual’s problems certain strategies may be more effective than others. Keep a record – If there are particular appointments that you need to keep then record the appointment in as many places as possible such as in your diary, on a wall calendar and in your mobile phone with an audible alert set. Break down problems – break each activity or task that needs to be completed into a series of small manageable steps. List them and tick them off as they are completed so you can feel a sense of achievement. Make a schedule – do regular tasks at the same time and on the same day of the week/month e.g. laundry on Mondays, shopping on Fridays etc. Don’t dwell on problems – some problems cannot be overcome so try to accept that and move on. Think positively about what you can do rather than what you can’t e.g. “I have survived a stroke”, “I have learnt to write again”, “I can now walk unaided”. Redirect anger – it is common to feel anger after a stroke but try and direct it to an inanimate object rather than a person. Social situations – family should tell you when you behave inappropriately and help you to understand what you should have said or done instead. Ignoring inappropriate behaviour they will not help solve the problem. Set realistic goals – talk to healthcare professionals about rehabilitation aims so that you can actually achieve your goals and see progress, even if it is slow. What is important in life – your physical and mental capabilities may have changed but be grateful for those things in life that are important to you e.g. friends, family, seeing your grand-children grow up. Get help – ask for help sooner rather than later to avoid situations developing into a crisis. 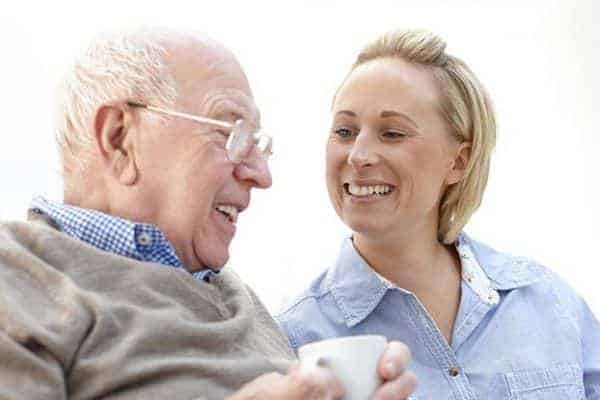 Having a relative who has experienced a stroke and is altered physically, mentally and emotionally is very distressing but there is support available for family members caring for their loved ones. Talk to your GP in the first instance and remember that you cannot help your loved one if you don’t care for your own health and mental well-being as a priority. Caring for a person who has had a serious stroke can be physically and mentally exhausting as well as distressing and you cannot be expected to cope without support. 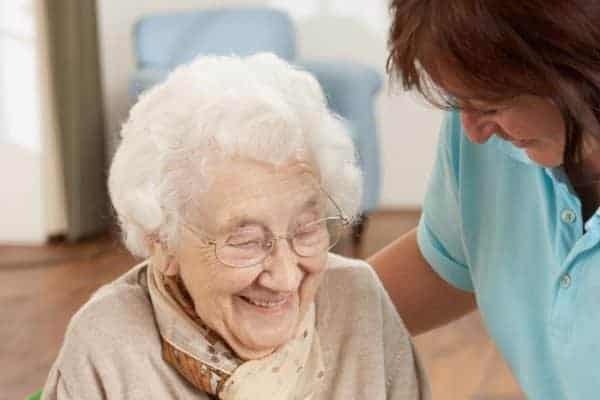 The complex and various difficulties experienced after a stroke mean that rehabilitation can be slow, but with the right rehabilitation programme and the use of coping strategies, many people recover well and develop ways to live with their changed physical and mental abilities. Really useful information about stroke and lots of questions answered here!